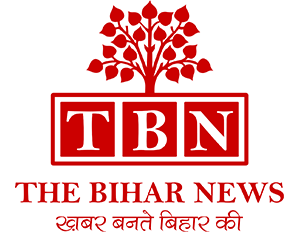 Muzaffarpur/Bhagalpur: It is the first children’s news service in India and the Children’s Scrappy News Service launched in style on November 14th. This service is on the social video platform YouTube, Delhi- based NGO ‘Going To School’ under the platform of ‘Scrappy Kids’ have set up twenty different newsrooms in the state including newsrooms in the Bhagalpur district and Muzaffarpur district in the Tirhut region of Bihar. These Scrappy newsrooms, built completely out of scrap cater to the Children’s Scrappy News Service, a makeshift news service and news-talk-game show run by kids for kids, taking on India’s biggest problems and solving them with design-thinking and scrappy skills. Among the twenty newsrooms, a list of innovative and interesting activities were planned for the newsrooms in Bhagalpur and Muzaffarpur districts. ‘Scrappy Heroes’ focused on interviewing local hero entrepreneurs like beekeepers, woman e-rickshaw drivers, girl boxing champion, traffic policewomen, organic farmers, toilet ring makers, people recycling newspapers and grandparents among others. Then there were ‘Scrappy Debates’ where Scrappy Kid anchors invited local guests into the newsroom to discuss the pertinent issues and find collective solutions to the problems. ‘Scrappy Pakao’ – a cook off between street food carts, was a show assisted as well as judged by the Scrappy kids. Then the kids had – ‘Scrappy Races’ where kids raced with racing cars made out of junk. The Children’s Scrappy News Service launched simultaneously in Mumbai and Bangalore.